President Barack Obama and his latest Supreme court nominee Elena Kagan have a friend in common -prominent former Congressman and Chicago lawyer, Abner Mikva. Fresh out of Harvard law School Elena Kagan clerked for then Judge Mikva in Washington DC in 1986-87. In the 1990s Obama, Kagan and Mikva were all on the Faculty of the University of Chicago Law School. 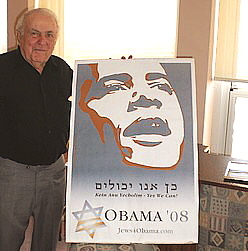 Obama’s relationship with Abner Mikva is long and deep but has been subject to little scrutiny. After all, Abner Mikva is no radical, he is a highly respected “liberal” and Chicago elder statesman.